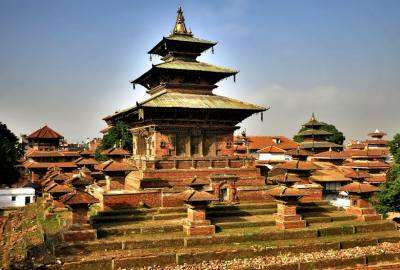 Nepal Honey Moon Tour including Cultural Heritage of the Kathmandu valley which boasts of ancient temple, religious and cultural artifacts. The landscape of the green hills and the vista of the Himalayas in the surrounding add to the attraction from Pokhara, stunning Everest Mountain flight over majestic Himalayas. Similarly, unforgotten beautiful experience of jungle safari and wildlife adventure activities makes more memorable your honeymoon tour in Nepal. Day 01: Arrival day, we will pick up at airport and transfer to the hotel. Day 02: Kathmandu Valley sightseeing in UNESCO world Heritage sights. Overnigt in hotel. Day 03: Early Morning experience the Mountain flight of Everest. Afternoon fly to Pokhara, overnight in Hotel. Day 04: Full day Pokhara Valley tour, boating and seeing the lake city with private car. Day 05: Paragliding or Ultra Light air craft flight in Pokhara (optional). Day 06: Drive to Chitwan National Park - one of the Asia´s finest NP. Overnight in Resort. Day 08: Drive back to Kathmandu by tourist bus and Evening join the Nepali cultural show and dinner. Day 09: Transfer to the Airport for the final departure. Namaste! Day 01 :Arrival day, we will pick up at airport and transfer to the hotel. Day 02 :Kathmandu Valley sightseeing in UNESCO world Heritage sights. Overnigt in hotel. Day 03 :Early Morning experience the Mountain flight of Everest. Afternoon fly to Pokhara, overnight in Hotel. Day 04 :Full day Pokhara Valley tour, boating and seeing the lake city with private car. Day 05 :Paragliding or Ultra Light air craft flight in Pokhara (optional). Day 06 :Drive to Chitwan National Park - one of the Asia´s finest NP. Overnight in Resort. Day 08 :Drive back to Kathmandu by tourist bus and Evening join the Nepali cultural show and dinner. Day 09 :Transfer to the Airport for the final departure. Namaste! Pokhara - Chitwan by tourist coach. 3 Nights sharing twin/double deluxe room in Hotel Yak and Yeti in Kathmandu with breakfast basis. 3 Nights sharing twin/double deluxe room in Shangri-La Village Resort in Pokhara with breakfast basis. 2 Nights 3 days Jungle adventure safari in Chitwan National Park including 3 times meals in Green Park Hotel (Breakfast, lunch and dinner).